I was given Bottlemania as a father’s day gift, so after finishing Garbage Land, I dove right into her new book. For younger people, packaged water must seem like a completely normal thing, having grown up with it. For those like me, who came of age prior to the 1980s when there was no such thing, it still seems like an unlikely product. In Bottlemania, Royte explains how things changed so much and considers what changes might yet be in store for us and our drinking water. 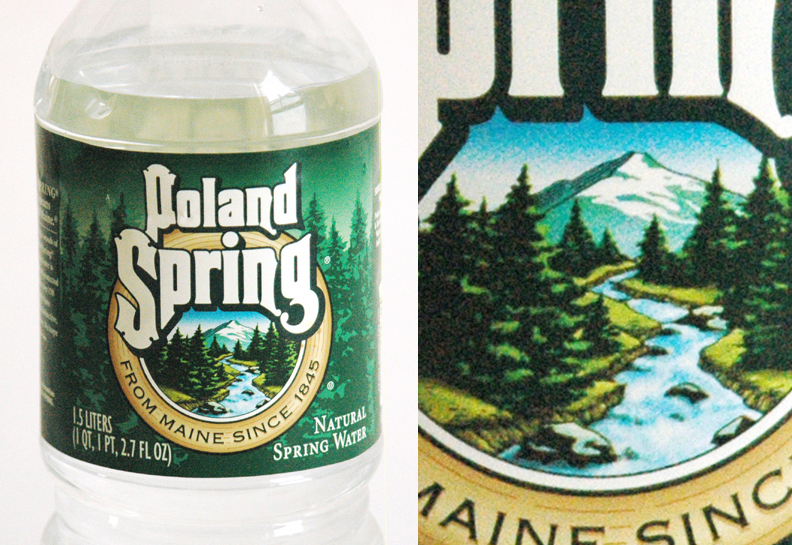 box vox: Bottlemania begins with your visit to the Poland Spring bottling plant in western Maine and then zeros in on the town of Fryeburg where local residents are objecting to so much of their water supply being pumped out and driven away. I’d recently seen, “There Will Be Blood” and the way you describe events unfolding in Fryeburg, with the clandestine acquisition of land for pumping operations (and the occasional straw metaphor) reminded me of that movie. Do you think there are parallels between the oil industry and the bottled water industry? Elizabeth Royte: Because both oil and water are so valuable and it takes a fairly sophisticated distribution network to get these resources to the broadest markets, corporations will go to great lengths to control them. In Bottlemania I write about the strong-arm tactics and backroom maneuverings of cities to get their hands on more water for municipal supplies, and about private water companies doing the same for bottling. As the population grows and the climate changes, fresh water will become ever scarcer—and therefore valuable: the lengths to which investors will go will grow ever longer. We see Nestlé going from small town to small town to acquire spring water; in Texas, oil billionaire T. Boone Pickens is buying up water rights, looking to pipe this resource to thirsty cities. box vox: In explaining how such widespread consumer acceptance of water-as-a-commodity ever came to pass, you brought up something that I had forgotten. 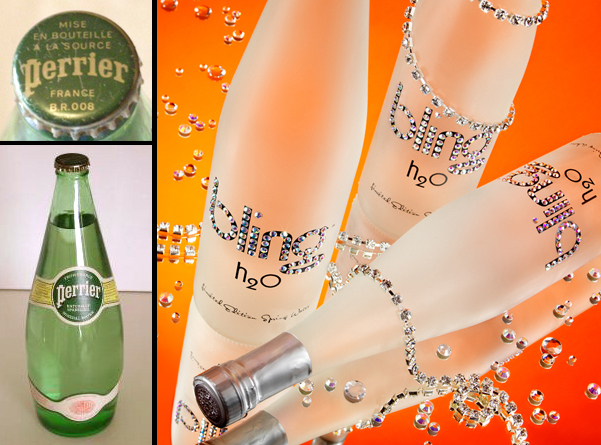 How back in the 80s, bottled water was considered fancy and European—Perrier in specially shaped glass bottles. (And then there was that business with Madonna and the bottle in “Truth or Dare.”) But aside from the cultural factors, you also cite the introduction of the 1/2 liter PET bottle. Why was that so revolutionary for the bottled water industry? Elizabeth Royte: It was a breakthrough because it was super-clear and shiny, lightweight and cheap. A lower price made it easier for water to compete in a crowded beverage market (and Americans, research showed, didn’t like the taste of water from aluminum cans). 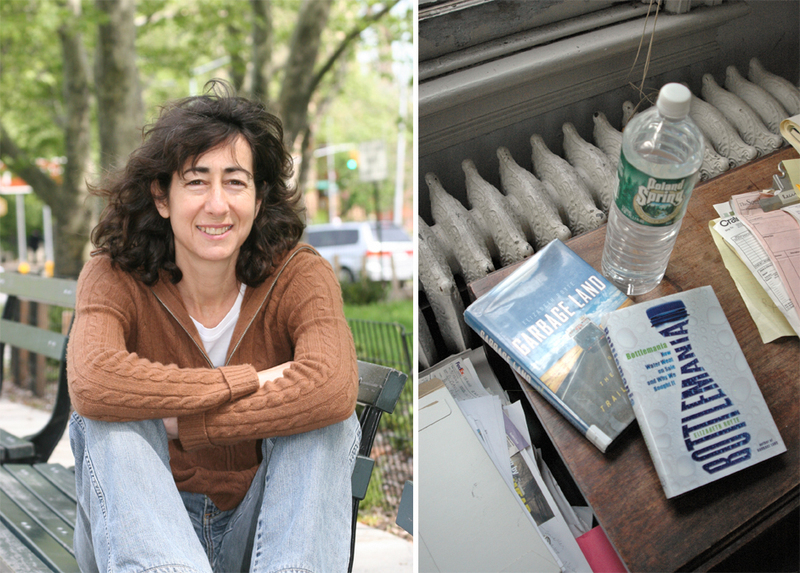 box vox: Reading your earlier book, Garbage Land, I came to understand that just because something says “recyclable,”—(and I, therefore, put it in the recycling)—doesn’t necessarily mean that’s what happens. Just how recyclable are all those 1/2 liter PET bottles? Elizabeth Royte: They are totally recyclable, or maybe I should say “downcyclable,” into other products like fibers for carpets, clothing, and strapping that will, at the end of this incarnation, be landfilled or burned. To be truly “recycled,” the plastic would be reused in new plastic bottles. So far, water bottlers have been reluctant to use recycled resin. By the way, less than 15 percent of water bottles make it back into recycling systems: most are buried, burned, or littered. American processors are eager to get their hands on more PET, but Chinese markets are paying more for this resource right now. box vox: After 9/11 there was that mini, ad hoc bomb-shelter craze (that my family also took part in) where people were buying stocks of plastic sheeting, duct tape and bottled water. Six or seven years later I noticed that those gallon plastic jugs in our basement were looking strangely distorted and malformed, and I wondered whether the water in them was still okay. 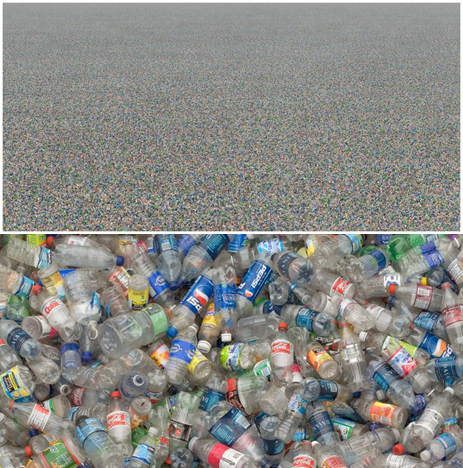 In Bottlemania you mention evidence to the effect that, the longer you store water in plastic, the more chemicals from the plastic will leach into the water. Does anyone have any idea what the wholesome shelf life for bottled water (in plastic containers) might actually be? Elizabeth Royte: The FDA requires that bottlers put an expiration date on water bottles. Nestlé puts two years on it, but chemicals have been shown to leach at much shorter intervals. Chemicals at harmful levels? It’s hard to say: the FDA says the bottles are safe under normal conditions, though it admits some migration may occur. Also, the agency gets its safety data from the manufacturers of the plastic. Scientists warn people who store water in plastic to keep their containers away from pesticides, gasoline, and other hazardous, materials. box vox: You also bring up plenty of problems with tap water and observe that the current Bush administration has done little to protect or maintain the quality of public water. Is this just ordinary neglect or do you see it as a more calculated trend towards the privatization of everything—including water? Elizabeth Royte: That’s a good question, and I wish I knew the answer (other books, like Thirst: Fighting the Corporate Theft of Our Water, look more closely at privatization of municipal water systems). I don’t have any hard evidence that the government has said Let’s run these systems to ruin in the hope private companies will swoop in and rescue them. But in essence, that’s what has happened in some communities. Note: some communities have been happy with their private water suppliers; others have not—they’ve gotten higher rates and worse water and service. 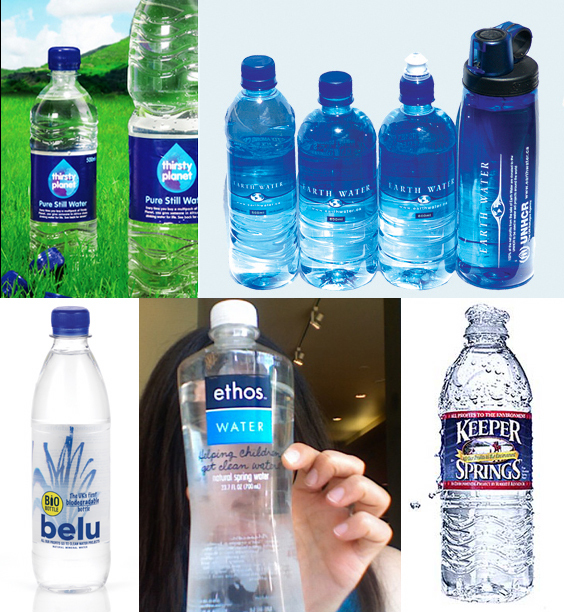 box vox: In your chapter about the recent “backlash” against bottled water, you list a number of “ethical waters” offered by water bottlers as a more eco-conscious alternative. To me, that seems like part of a larger marketing trend, perhaps based on the success of the Paul Newman brand—the idea that, by the simple and convenient act of purchasing a consumer product, we are supposedly benefiting a worthy cause. 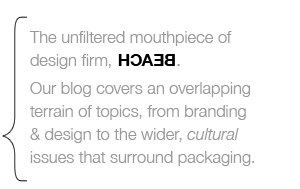 The thing about the “ethical” marketing trend that always surprises me, is how little consumer skepticism there seems to be. What’s your take on all this virtuous consumerism? Elizabeth Royte: As I say in Garbage Land, I hate to think that our political power lies in consuming more new stuff. The ethical water thing bugs me because it undermines confidence in tap water, perpetuates the idea that water should come in plastic bottles, factory sealed, and it subtly makes us forget that the outlet selling the water most likely has a perfectly good spigot behind the counter: I’ve never been refused when I’ve asked to refill my reusable bottle. box vox: What are you working on now? Elizabeth Royte: I’m working on some magazine stories (watery themed) and book reviews, but I don’t know what my next book project will be. Maybe a Harry Potter lexicon? ?